There is no denying the gender problem in the tech industry. From under representation to compensation inequity to blatant sexism, women are not always welcomed or treated as equals. 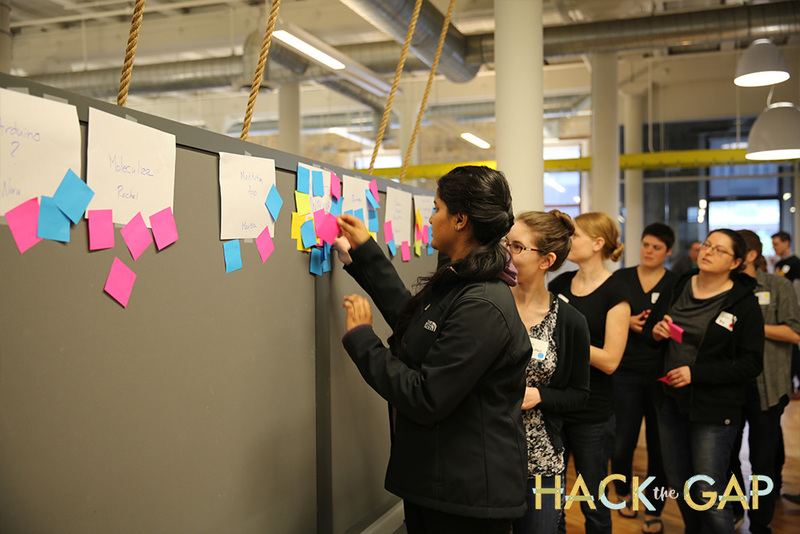 There are many strategies we can use to fix that, and supporting Hack the Gap — Minnesota’s all-women hackathon — is one. Over two days, Hack the Gap participants pitch their ideas, work with new technologies, write code, hack hardware, and present their projects to the community. After they share, mentors and judges — selected from the community — offer feedback to the participants. It’s a fantastic opportunity for women to work through a variety of problems and get immediate and helpful feedback. The Twin Cities tech community is strong, and increasingly cited as a competitor to east and west coast tech hubs. Events like Hack the Gap build the reputation of the Twin Cities as not just another tech hub, but one that’s committed to diversity and equality. These values are important to us at Clockwork; we are actively trying to make things better by supporting underrepresented communities, developing new talent, and being a safe haven in an industry that isn’t always welcoming. We’ll be talking a lot more about these issues, and the things we’re doing to effect change, in the coming year. We’re proud to support Hack the Gap. Hope to see you there.